“School is a preparation for life”, as one Ancient maxim reads. It can be modified in the following way: “College is a preparation for life”. Human knowledge should be useful and applicable to everything that you experience in your life. Despite the fact that no one loves writing essays or scientific papers all the time, it must be declared that writing a college level essay implies definite skills and abilities. These skills should be developed through gaining important knowledge, doing some independent research, or attending academic events (conferences, seminars, discussions, etc.). The more you write, the more real life knowledge you should be able to gain. It is of course an ideal scenario. What is a College Level Essay? Before going into details, it is worth mentioning that a college level essay is pretty different from all other stuff that you have previously done in school. If we imagine the world as a giant building, then the school would be nothing but the main entrance to this building. Human beings just pass through some learning experiences, gain some knowledge, and become more socialized. College seems to be the main hallway of the building; you can go in every direction you wish, but it means that you have to dismiss all other possible fields of knowledge, other abilities, skills, etc. This transition from school to college reflects on one’s psychics. Few people pass this stage smoothly. Students usually feel some nostalgia about their easy days in school. But college life is completely different. However, you should not be scared of this perspective. As we have already stated, knowledge gained in college is more specialized. It means that you should read more, discuss more, and criticize more. Academia turns upon the aforementioned principles. Hence, an essay that you are assigned to write must meet these criteria in order to be approved. Let’s analyze them one by one. You should have access to useful resources. The first one is the library, which is full of important books. Of course, you do not need to go to the library physically. You can purchase an e-book or a scanned version of the book you need. The main advantage of libraries is that it is easy to borrow books in other cities or abroad. Besides, they are provided with more specialized titles. To read is to research, although only in your mind. In order to write a good college level essay, it is recommended to discuss its topic and possible viewpoints with your colleagues/relatives/friends. Try to find the shortcomings of your thesis/conception. Discuss it with your professors as well as on various academic forums. Critical thinking is evidently an important feature of an academic life. No one can write a PhD thesis, for instance, without being able to discern a well-justified theory from pure fiction. Also, be prepared to be subjected to harsh criticism. This is the way in which scientists do science! There is no escape from that. If you want to write a good college essay, you should always keep in mind that your thesis is not absolutely true and that evidences against its veracity may appear. As a conclusion, it may be said that you should be independent in your research (not to “copy-paste”), have comprehensive knowledge in the given field, and employ scientific vocabulary. Do not forget to formulate your thesis with the appropriate arguments. The key to writing a good essay in college is the profound respect for the rules of science. Abide by its rules and you will succeed. 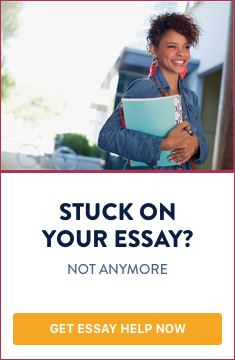 Do you need help with writing a college level essay?